The Mekong Delta Integrated Climate Resilience and Sustainable Livelihoods Project supports climate-smart planning and improved climate resilience of land and water management practices. The project will benefit farmers, especially those growing rice, in the upper delta provinces and aquaculture farm and fishing households along the coastal provinces in the region, including the Khmer ethnic minority people living in Soc Trang and Tra Vinh provinces. 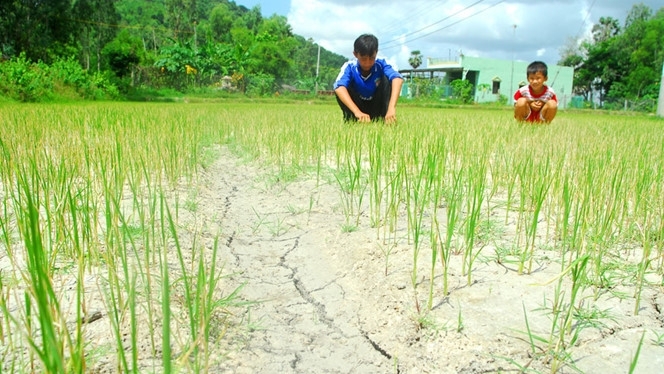 Achim Fock, Acting Country Director for the World Bank in Vietnam said recent extreme weather in the Mekong River Delta, including drought and salinity intrusion, were negatively affecting the lives of the farmers – most of whom are struggling to overcome poverty. He believed that this project would provide an effective multi-sectoral model to help farmers adapt agriculture and aquaculture livelihoods to the impacts of climate change. The Mekong Delta alone contributes half of Vietnam’s rice, 70% of its aquaculture products, and one-third of Vietnam’s GDP but the region has also been identified as one of the most vulnerable hotspots to the impacts of climate change as well as upstream development. The project is a critical part of the World Bank’s long-term engagement in the Mekong Delta to strengthen integrated adaptive delta management by bringing together the different sectors and provinces to plan, prioritise, and implement resilient investments. The estimated total cost for the project is US$$387 million, of which the International Development Association, the World Bank’s fund for the poor, is financing US$$310 million.